PRE-ORDER CARTER'S BOOK HERE BY ADDING TO THE CART, BEING SURE TO INDICATE IF YOU WANT YOUR BOOK PERSONALIZED, AND TO WHOM. WE WILL HAVE CARTER SIGN & PERSONALIZE THEM UPON PUB DATE (2/28/17) IF YOU ARE LOCAL, BE SURE TO COME TO THE BOOK LAUNCH PARTY AT THE STORE MARCH 4TH AT 4PM. 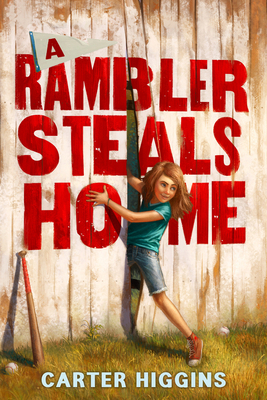 Terrific debut by local talent Carter Higgins, this middle grade novel sings with warmth, quirk and charm. Baseball, snackshops, summer, mystery and friendship tie this tale together along with its set of interesting characters Derby, Triple, and Marcus. A real winner!